Posted on January 31, 2019 by thelostlighthouse	in Comics, Literature and tagged Age of X-Man Alpha, art, comic book review, comic books, Literature, Lonnie Nadler, Marvel comics, Ramon Rosanas, superhero comics, superheroes, TLL, Triona Farrell, VC’s Clayton Cowle, X-Men, Zac Thompson. With a new X-Men series kicking off I took the chance this week to return to the team to see how they are holding up. This is an ‘Age of’ series which means we are talking alternate timelines/realities and the majority of the team will have some kind of presence. 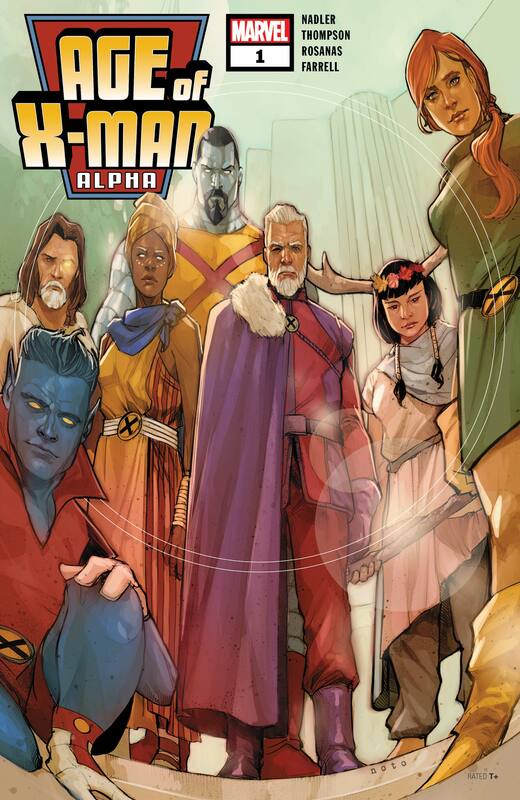 This one will be the Age of X-Man Alpha, so we can assume that Nate Grey, aka X-Man will be pivotal to everything that is going in this run. In my experience the plots to the ‘Age of’ runs can contain fascinating concepts and alternate takes on characters so this was well worth a look. 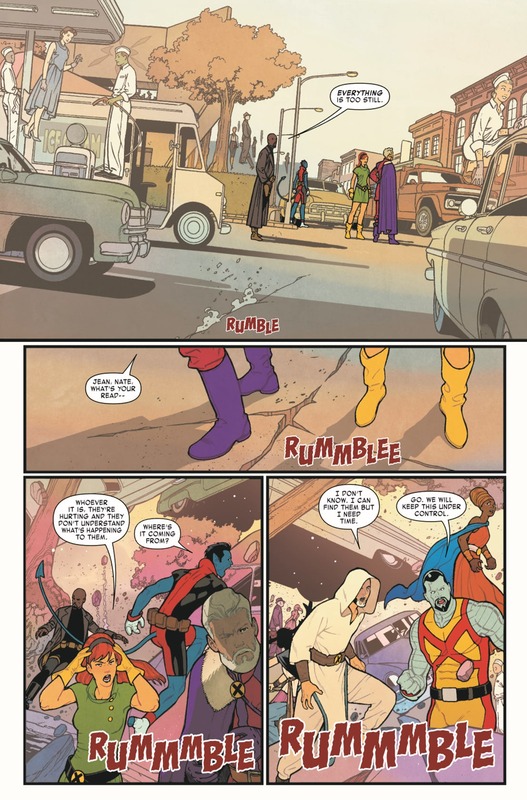 The world is a utopia, where mutant-kind has come back from the brink of extinction, mutants and homo-sapiens live in a fully integrated society where the stigma of the X-gene seems to be completely gone (It’s interesting to see no mention of Inhumans however). The X-Men play a critical role in keeping people safe and many of the team have taken a step out of the super-hero life to bring up and educate mutants in this new world. The steps that bought about this world, where peace and harmony has finally been achieved, are yet to be explained, although it is apparent that many of the original A-listers have unfortunately passed away to bring this about. It’s only at the end of the issue where it becomes clear that this world and peace is not what it seems. It does bring about the question, yet again, as to if the dream of Professor X is ultimately achievable at all. Nate Grey himself plays a role in the issue, but no more than the other characters, if this is to be his story his role is not totally apparent yet. Rosanas and Farrell combine well to portray a world that feels dream-like. This does seem to be Professor X’s dream fully realised, so the light touch line work from Rosanas and light colour pallet from Farrell really help create that atmosphere. The contrast towards the end of the issue, where the twist is revealed, in the change in pallet and use of light emphasises the uncertainty as to what is really going on. We don’t know much about the world of Age of X-Man Alpha yet. It’s clear that not everything is what it seems, though I doubt there would be much of a comic if it was. The issue did drag a little to begin with for me, though it’s clear the world building was trying to be set out. My one major issue is less to do with the story itself, but the huge number of tag lines saying “Find Out Why This Character Is Picking His Nose in The Amazing Nose Picking Mutant #1” or at least something to that effect. At times this felt less like a first issue and more like a run of adverts. I am curious to see where the plot goes and what is really going on here. Hopefully outside of the first issue there won’t be so many of these though.